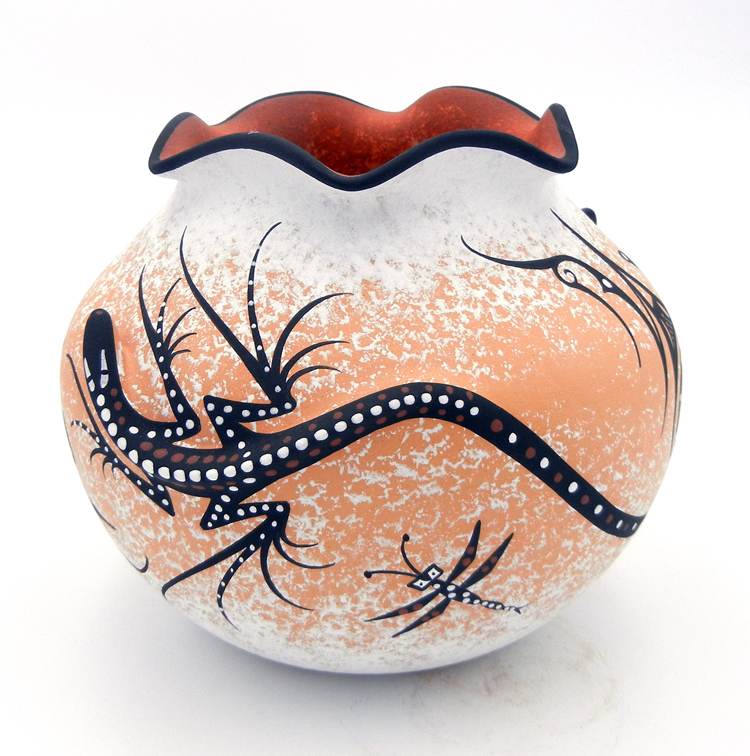 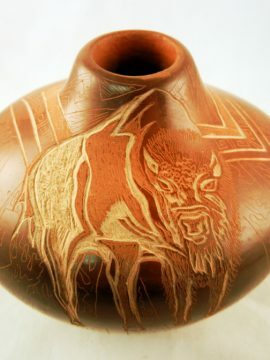 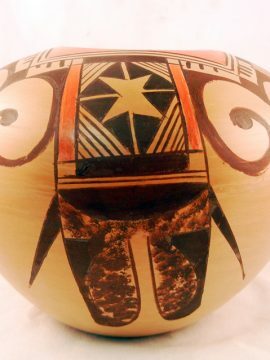 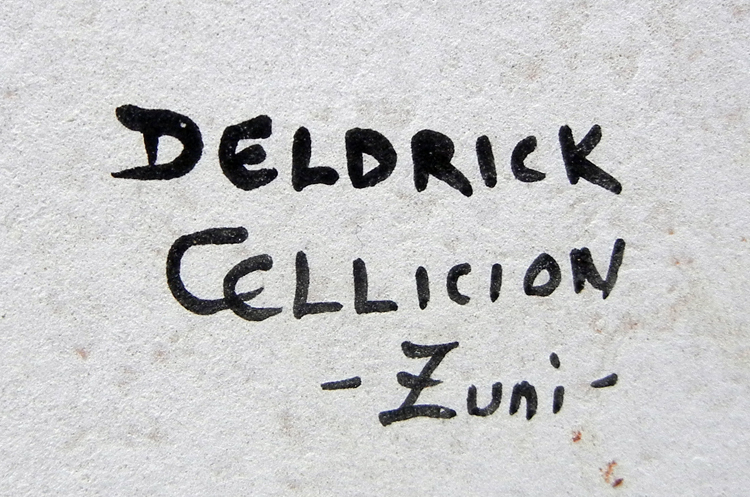 Created in his signature, recognizable style, this stunning piece by Zuni potter Deldrick Cellicion features two three dimensional lizards atop the traditional Zuni buff and white surface. 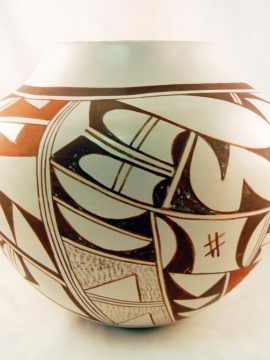 Each lizard’s head protrudes up off of the surface of the pot, their three dimensional bodies extending around the curves of the jar and their tails finished in a whirlwind pattern. 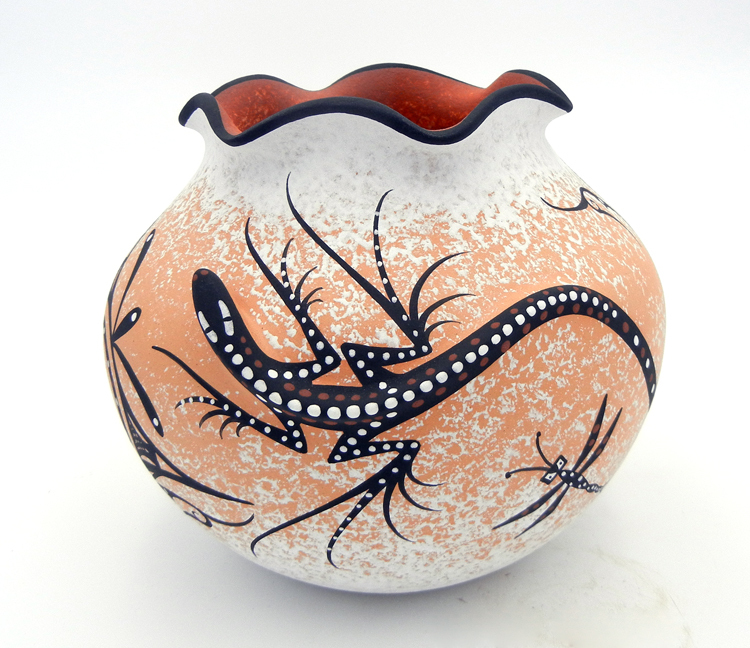 Each lizard is painted in black, red, and white, and additional weather patterns are painted along the surface of the jar in between each lizard. 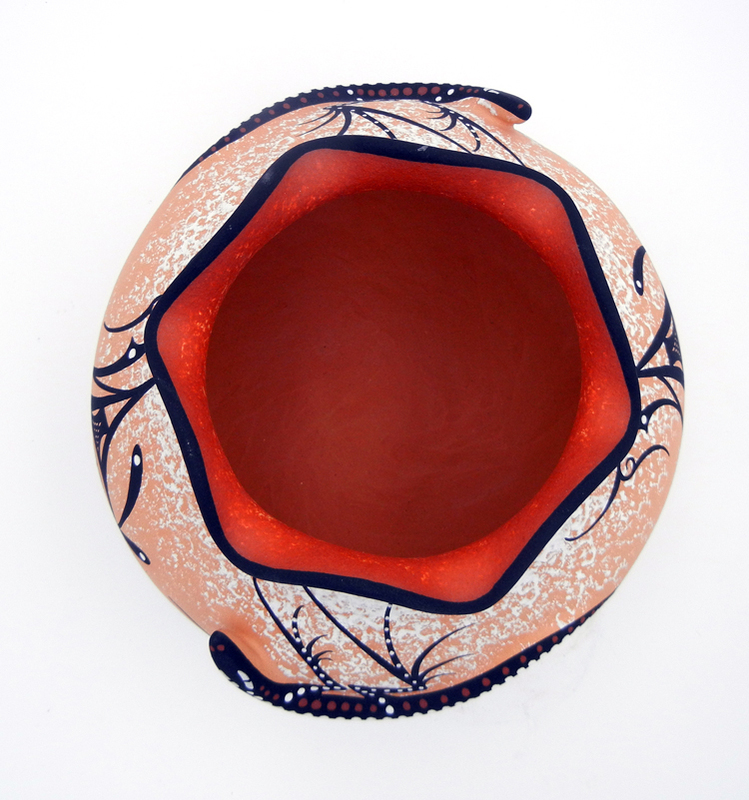 The piece is finished with a gorgeous scalloped rim, painted black, which plays off of the beautiful red color along the inner portion of the opening. 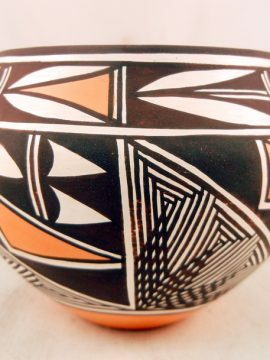 7″ tall x 8″ wide.